The EB-5 Visa Program is an increasingly popular measure that has been steadily attracting foreign investors for the promise of a green card. The EB-5 Visa, first instituted in 1990, is centered on the premise that for an investment of $500,000-$1 million in the American economy, including the creation of 10 full-time jobs, a foreign national can obtain a green card. 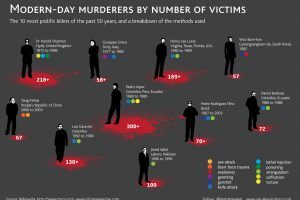 The design for this infographic has a professional look to it that many readers will appreciate. This topic is a more serious and professional topics that deserves a sleek professional design. The grey background highlights the white and blue text colors. I like that large image of the Earth showing the region that is discussed in the infographic. I wish that the main title was at the top so it was the first thing readers would see. The information made me feel a little lost. I was confused once I started reading the information. I see the title but once I read the text I has a hard time make the connection. The information seems to be showing some great data but I was not sure what it was showing me. I think a little more text explain each graph would be nice. Previous Previous post: How do Radio-Controlled Clocks Work?